Here at the keto clan we are lucky enough to have three uniquely different perspectives on the low carb high fat ketogenic diet. I wish we had started this blog when we started the diet so we could have logged or progress over the last 5 months and showed you the results. Moving forward we will post monthly updates with pictures and issues we have all faced in a ketogenic / lchf lifestyle. Meet Christina. She is our resident photographer & cook and mother. Christina is morbidly obese and weighed in at 150 kg pre-diet and has struggled to lose weight her entire life. She has been overweight for over 18 years, and although she has been able to lose small amounts over time, with two pregnancies it has gotten a lot harder to shift the weight or to find the time necessary for dieting and a heavy exercise regime. 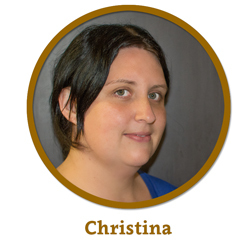 Christina’s main focus is to drop the weight, and to keep it off. Follow Christina’s journey on her ketogenic lifestyle change. Meet Stefan. Stefan is Christina’s husband and is our resident blogger, photoshopper and cook. Stefan was diagnosed with type 2 diabetes three or so years ago and weighed 125kg. He changed his diet as per doctors orders, started exercising but sadly watched as his medication went up and his weight remained the same. Stefan was the first one to discover the ketogenic diet in his search for a solution to what doctors were telling him was a condition that was just going to get worse. The final straw was when his doctor suggested he get on statins for his cholesterol and that they would have to look at insulin as the next step to fix his rising blood sugar levels. 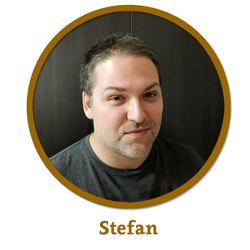 Stefan’s main focus is finding a stable range for his diabetes, and losing around 45kg in total. Follow all his success in his ketogenic journey so far. Meet Emma. Emma is a close friend of both Stefan and Christina. She will be helping with blogging, videos and cooking. She doesn’t have the same amount of weight to lose as either Stefan or Christina but still has about 15 kg in total to lose to get to a healthy ideal weight. At her heaviest, prior to starting the diet, she was 77 kg. Still, she currently has 31% body fat and really wanted a change from feeling constantly lethargic, unfocused and lacking energy to get through the day. Her goal is to become healthier, get fit, tone down and drop the excess fat. 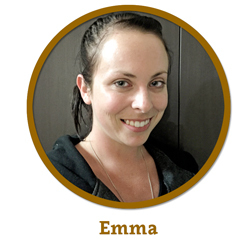 Follow Emma’s ketogenic journey so far.